You can run iCare Lobby on any tablet, smart phone, desktop or laptop. Simply enter the following address in the browser: LOGIN TO LOBBY. Follow instructions given in the Lobby for opening and operating it. 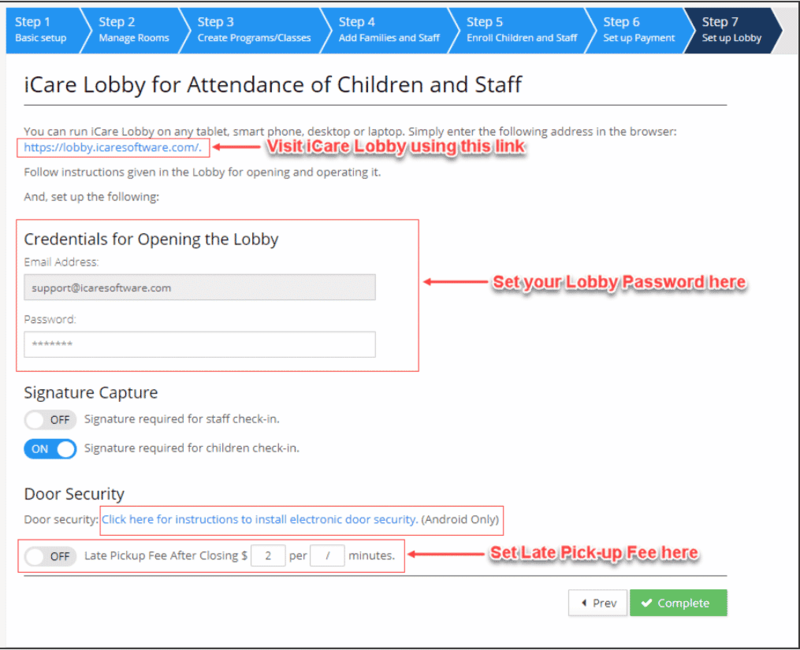 Using the Lobby signature capture feature, you may capture signatures of users who check-in/out using the Lobby or attendance page for audit trails. 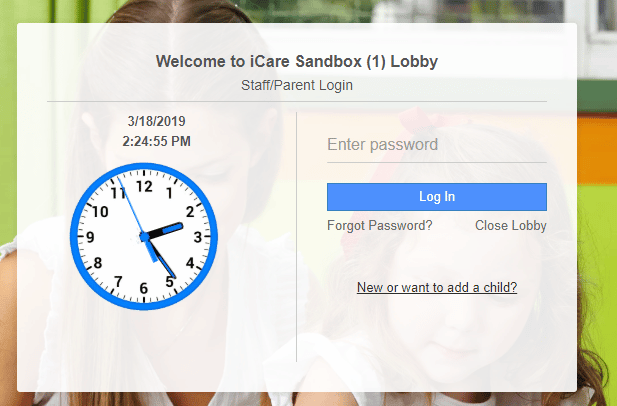 Picture Capture in iCare Lobby is an add-on feature developed to enhance the security of your childcare center. When parents or staff log in to the lobby, their picture is captured automatically. When parents register or when Admins register new parents, a Lobby password will be automatically generated. Ensure parents have their passwords and have instructions for lost passwords.